Calgary is Alberta’s largest city and one of Canada’s fastest-growing metropolitan areas. It’s the heart of cowboy country, and home to the biggest and best rodeo in the world, the Calgary Stampede. Above all, Calgary’s fun-loving spirit infuses the city with a bold confidence making it a great city to visit. Here are our favorite things to do with kids in Calgary. 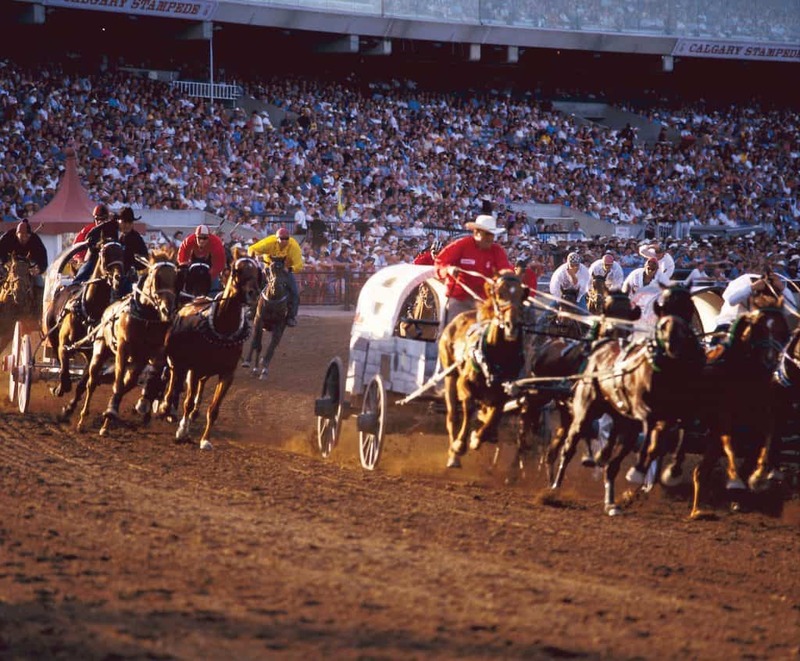 First on our list is the world famous Calgary Stampede! The Greatest Outdoor Show on Earth (and the biggest rodeo in the world) takes place over 10 days each July. The Stampede has everything a big show should have: a parade, rodeo, animals, amusement rides, food, live music, and an amazing history. Calgarians and visitors channel their inner cowboy in the biggest show of community pride and celebration found on earth. 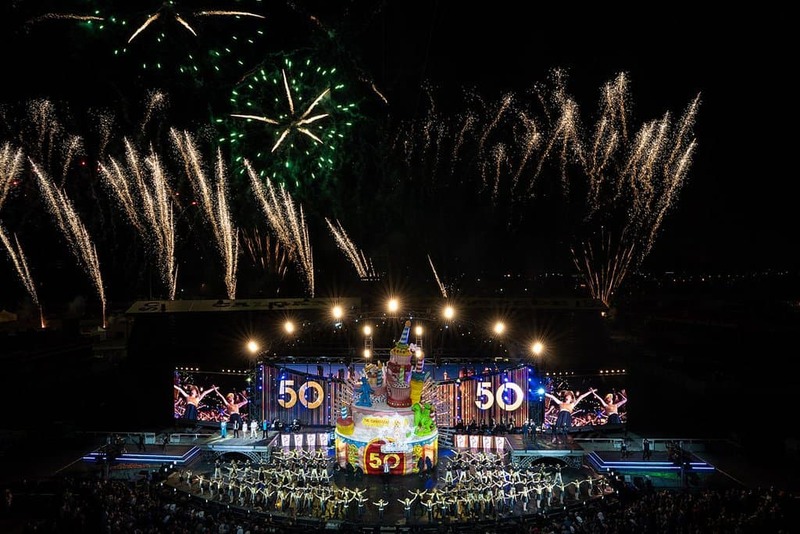 When visiting Calgary with kids, make sure to check out the Calgary Stampede Evening Show. The nighty show kicks off with a derby featuring chuckwagon races which kids of all ages will love. After that, the Calgary Stampede Grandstand Show takes the stage. The show features the Young Canadians and visiting celebrities who perform song and dance numbers, as well as amazing acrobatics. Following the evening show, the night concludes with a nightly fireworks show! Read kid-friendly reviews of the Calgary Stampede. Second on our list is Telus Spark, Calgary’s science center. Telus Spark is an amazing place to spend a day with kids in Calgary. The beautifully designed building and indoor and outdoor spaces house a tempting variety of interactive, scientific exhibits that will captivate kids and parents. Exhibits include themes based on Earth & Sky, Energy & Innovation, and Being Human. The Open Studio is a large space for invention and creativity. Kids and parents are invited to create and destroy in a playful, interactive atmosphere of discovery. Next, in the Creative Kids Museum, children under 9 years old have the freedom to play and create in the Maker Space or put on a play in the Theatre. The indoor climbing gym is perfect for families visiting in winter. Parents love the toddler-sized toilets and Quiet Room for nursing moms in this truly kid-friendly environment. Step outside and you’ll find even more to love. 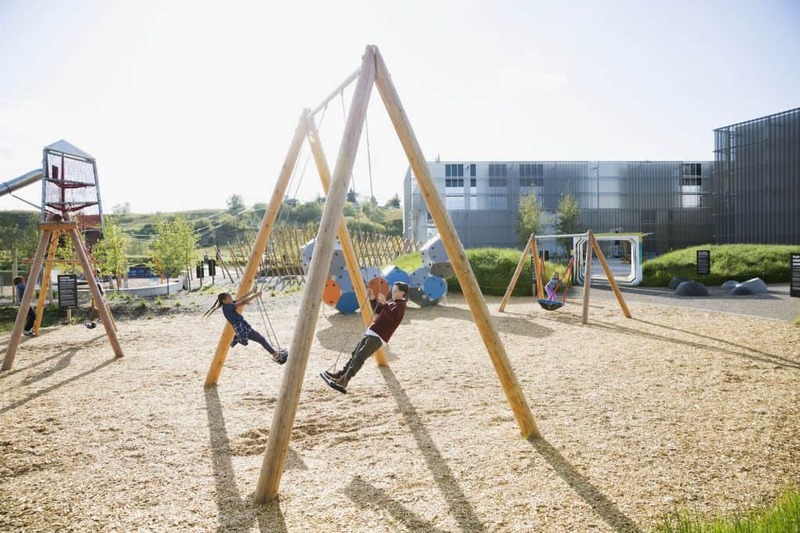 Telus Spark is home to The Brainasium, a year-round outdoor park unlike any other you’ve seen. Kids can play on a teeter-totter built for 6, try to cross a 93-foot logjam and slide down a 63-foot slide. Calgarians love this park so much many buy memberships to be able to stop by weekly. Read or write parent approved tips for Telus Spark. Third on our list, and a local favorite, the Calgary Zoo appeals to families visiting Calgary with kids of all ages. The Zoo is designed in geographical zones that are all an easy walking distance along a Discovery Trail. Additionally, you’ll want to check out the following recent additions to the Calgary Zoo. 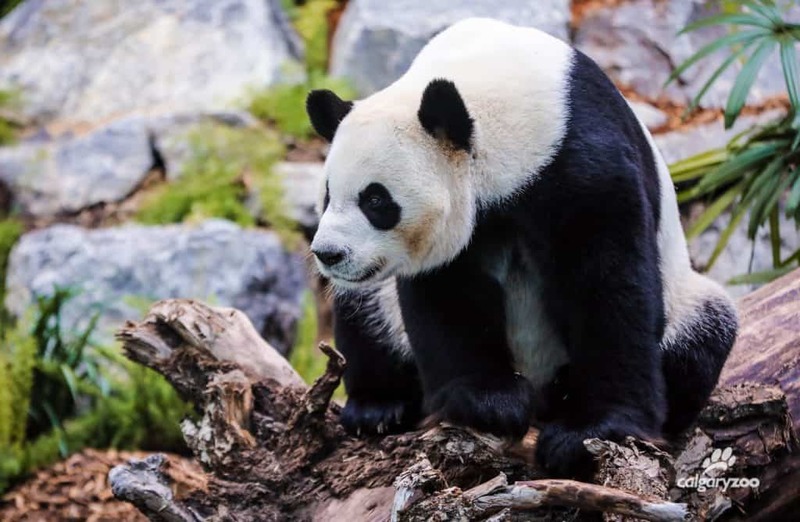 Panda Passage is home to 4 giant pandas until 2023. Panda Passage is a $14.4 million habitat that comes complete with a 431-square-meter indoor habitat, outdoor space, and a private nursing. The Penguin Plunge area is built to mimic the Antarctic shoreline, with waterfalls and rock formations, and a temperature set at a brisk 8 degrees Celsius. There are four species of penguins at home here –King, Gentoo, Humboldt, and Rockhopper –and they are extremely popular with children and adults. 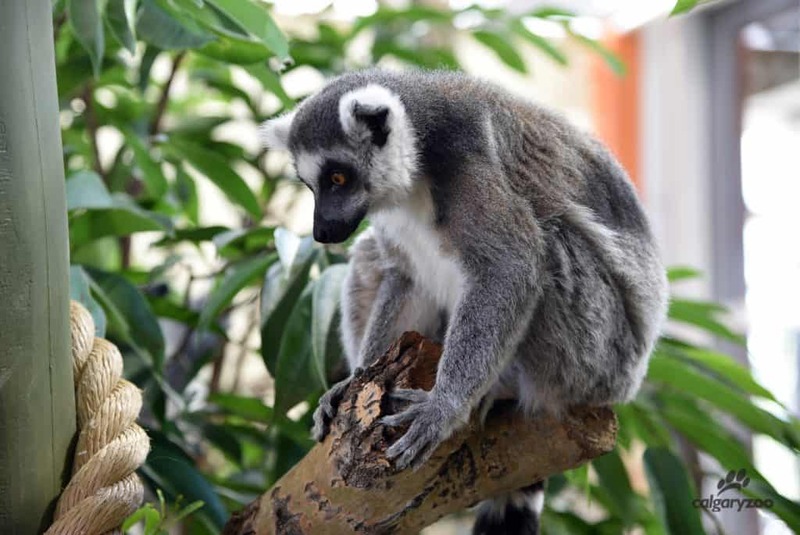 Land of Lemurs invites families to explore the lemur habitat from the inside. Enter the secure area to watch Lemurs as they run, play and interact all while running free in the habitat. Read reviews of the zoo! Next on our list is Winsport at Canada Olympic Park. Calgary was the enthusiastic host site of the 1988 Winter Olympic Games. As a result, the legacy of those games has provided for Winsport at Canada Olympic Park, one of the most visited and fun sporting facilities. Winsport is a large, multi-sport park providing amateur and Olympic-calibre athletic facilities. 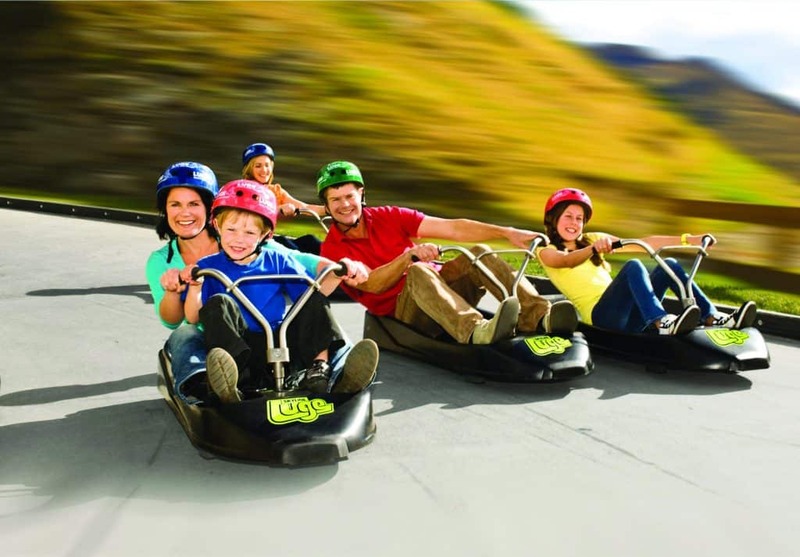 For visitors, Winsport offers a wide variety of active adrenalin-rush fun including: Skyline Luge, (the longest luge run in the world), ziplining (from the top of the former ski jump tower), skiing and snowboarding (in winter), racing down the bobsleigh run at 55 miles (90 km) per hour, mountain biking, a climbing tower, Spiderweb, mini-golf, and Eurobungy. Last but not least, Heritage Park Historical Village is the largest outdoor living history experience in Canada. Immediately upon arriving, families will feel like they traveled back in time thanks to the help of historical interpreters in period costumes. 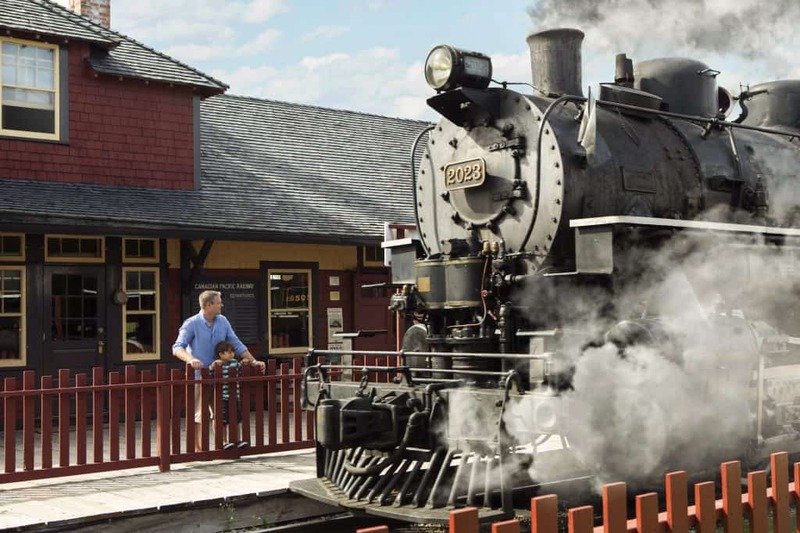 Families can ride around the park in a fully functioning steam engine from the 19th century, hop on a streetcar, ride on a horse-drawn wagon or the SS Moyie paddle-wheeler boat or make your way on foot. Lastly, kids are invited to participate in many activities throughout the Park, including old-fashioned ice cream making, teepee-raising, and removing rocks from farm fields. Check out parent tips on Heritage Park! Located in downtown Calgary in family-friendly Eau Claire, the Sheraton Suites Eau Claire is a great choice for families. Steps to the riverfront, Prince’s Island Park and several restaurants, families wanting to experience downtown Calgary will love this location. The hotel has an indoor pool with waterslide, club lounge, in-room dining for the whole family and two on-site restaurants. Another great choice for family-friendly accommodation in Calgary is the Sheraton Cavalier Calgary Hotel. 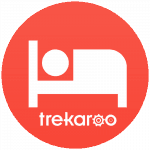 Located 20 minutes from the Calgary Airport, and 10 minutes from downtown, the Calgary Zoo, and Telus Spark. The biggest family (and kid) draws are the two water slides and indoor pool area of the hotel. 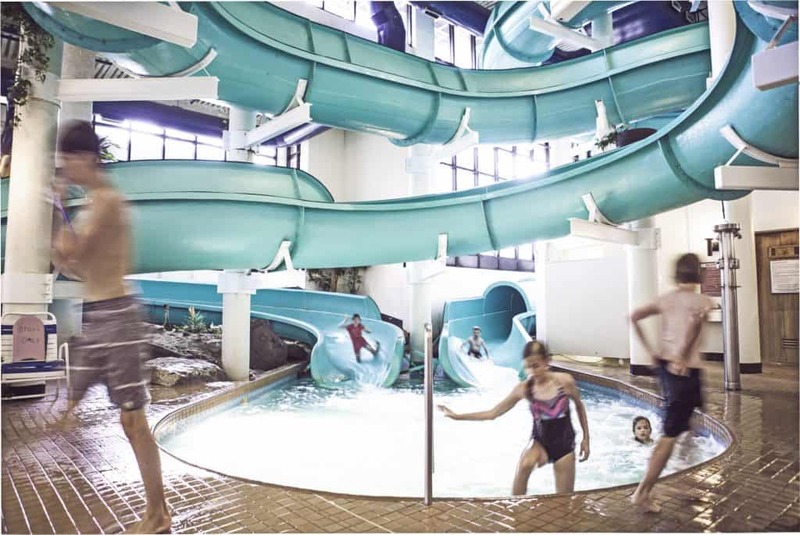 The Cavalier has two of the largest hotel indoor water slides in North America. Find amazing deals on family-friendly hotels in Calgary. Calgary is famously located just an hour away from Banff National Park, one of Canada’s most beautiful natural settings. Check out the top 10 things for families to do in Banff and our guide to thing to do in Banff National Park in Winter to plan your visit! 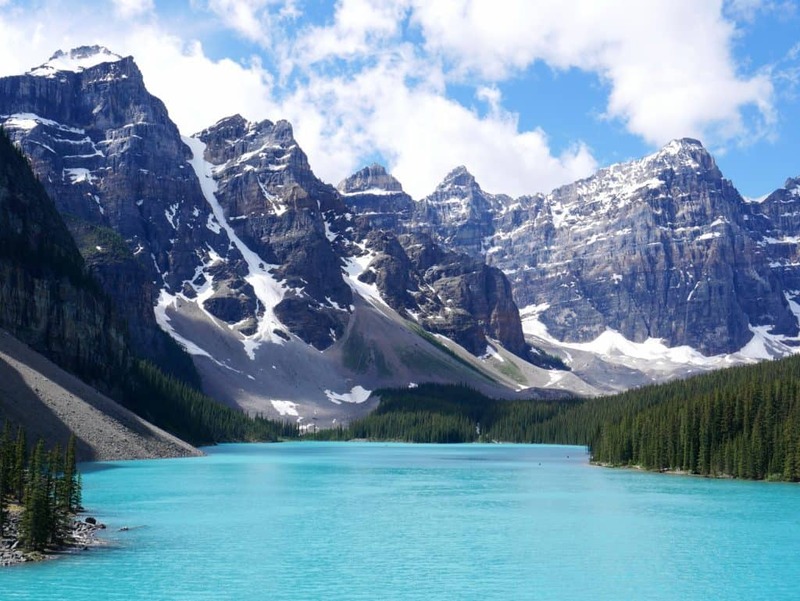 Find family-friendly hotels in Banff National Park. Special thanks to Claudia Leroy for authoring the original version of this article.